Nachos is Trello's Design System. 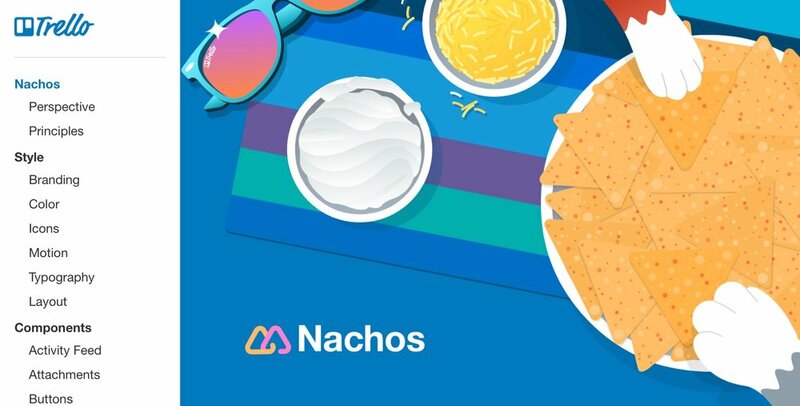 Nachos is a comprehensive guide and resource library containing everything a designer at Trello needs including core principles, visual design, interface components, branding, and resources. The design team’s three main motivations for a design system were consistency, alignment, and efficiency.